Classic Aussie blend of Cabernet Sauvignon and Shiraz (64/36% respectively); oak is all French, of which 70% is new. And what oak it is: Lavish , providing a blanket around a depth of black fruit; brawny, muscular. Aniseed, choc-mint, lavish. The oak is unsubtle, tannin is firm and the length long. Elegant aromatics, soft red berry fruit; spice and seasoning - plenty of cracked pepper, a little clove. Elegant - again that word, recurring throughout - soft, savoury spice and pepper; it's hard to get a handle on: there's a little fruit, but really more about the seasoning. Elegance personified - yet with the edge. 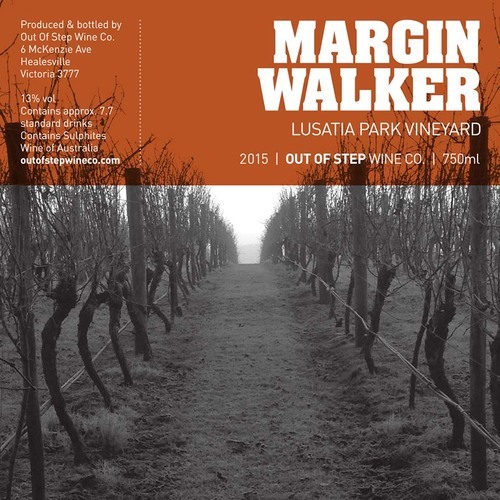 A blend of Marsanne (63%), Viognier (19%) and Roussanne (18%). Scents of white florals, suggestive stonefruit and of a little vanilla creme patisserie. Honeyed nuances, a little nougat, under-ripe mandarin segments; zest and gentle spice. Early - judicious - picking has given a line of acid about which layers of texture hang, like mille-feuille of flavour and mouthfeel. Nutty, funky, yeasty - great aromas here. A year in bottle suggests it's fleshed a little, having taken on depth of colour in glass. Zero oak, all about primacy of fruit, Joven Grenache if you wish. Looked the goods at Cellar Door, but failed to light me up when back home. Red berry fruit initially on offer, followed by subtle spice. Sees no oak, it's about purity of expression, no encumbrance. More of the same on the palate, segueing to savoury notes, spice and a little freshening acidity. Good medium body, mouthfeel and a fine rub of tannin. Very attractive proposition: florals, stonefruit; meatier foundations reveal themselves beneath - a foundation for the wine. Blue fruits, a little cherry and chocolate; savoury, twig and a little leaf matter, spice. Needs a little more fruit at the back end, the savoury twigginess overwhelms. Decent length though. Fudgey, compote, Earth, residual old wood. Soft aromatics, calming, nothing assaulting the senses - a sense of ease. Simplicity - a little back palate bitterness forms the dominate character here; entry sees a little black fruit before that dominating character. Mourvédre from leading Granite Belt producer Boireann. Quite possibly the first time they've produced this varietal Mataro in 5-6 vintages. Meaty, a little funk, reduction; stewed plums, sweet spices, sweet grasses, (suggestive of perhaps some whole bunch). Lemon butter, biscuit, brioche; citrus lift and quince. Sweet accented fruit, spiced hints: cinnamon, nutmeg; florals, crushed candies, citrus. Basically the genesis of the wine is that a portion of Pinot Gris was kept back for 12 months for further development, with about 30% early picked Riesling added for freshness, drive and to give the wine a spine which to hang off. However: smells flat, dried grass, a touch of barnyard. A G/S/M in proportions of 45/45/10 respectively. 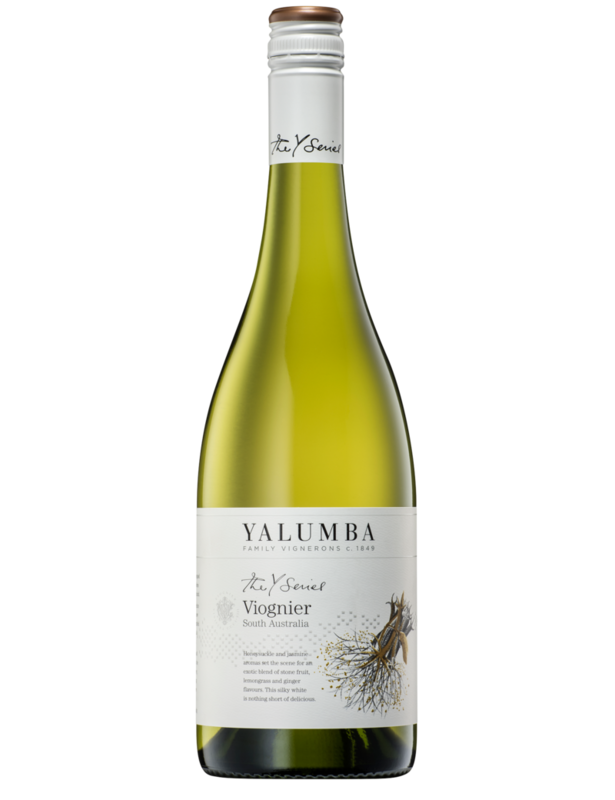 Florals, aromatic spice - carries that lighter, elegance often associated with the Driftsand and the sandy soils of (Barossa Valley sub-region) Vine Vale. Light, supple, an elegance; black cherry, a little blackberry compote. Has a good natural freshness to it too. Since sold out ex-Cellar Door. Woody, oak, vanilla; some glimpses of blue fruit, mainly toasty oak with a little herbal inflection. I tried to research the etymology of the grape name, as to my (admittedly schoolboy) German, it would literally mean two (zwei) and money (gelt). 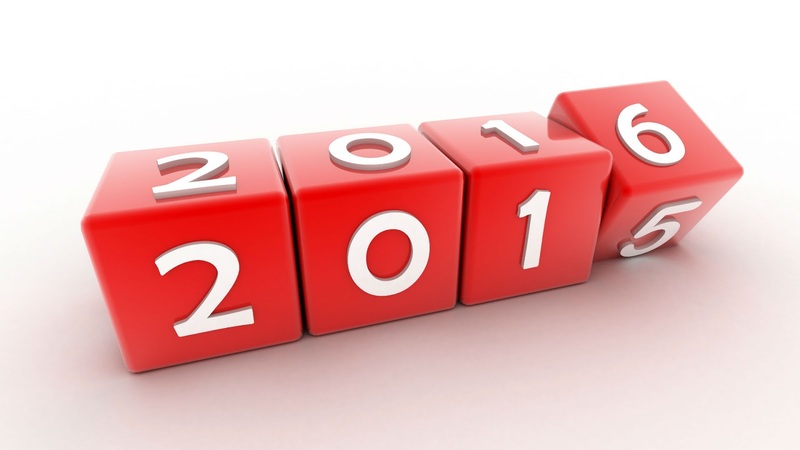 Website reports as 'Sold Out' now - shame, great drinking and a sure thing for the warmer months that seem some way ahead, as I write this in June. Toffee apple, Turkish delight; soft, rounded berry aromatics. Good bracing acidity, afore softer red berry elements - consistent, tangy cherry and a little spice. A somewhat unusual - unless you're David Bowley of Vinteloper that is - blend of Touriga Nacional (62%), Shiraz (28%) with a splash of Grenache and Pinot Noir for good measure. 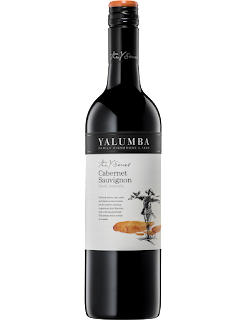 Predimantly 90% Langhorne Creek (Touriga Nacional, Shiraz I'd hazard) with the balance from McLaren Vale and Adelaide Hills (my guess). Immediately savoury, showing tobacco and leaf, dry woodland undergrowth, mossy. Silken, soft and juicy on entry, - a textural marvel - segueing to savoury, bramble notes. There's fruit meandering through, for sure, but it's the woody and savoury elements that really define this wine, and reflect it's composition. The sweet red fruited accents of Grenache are on show here, coulis-like raspberry hints, macerated strawberry. 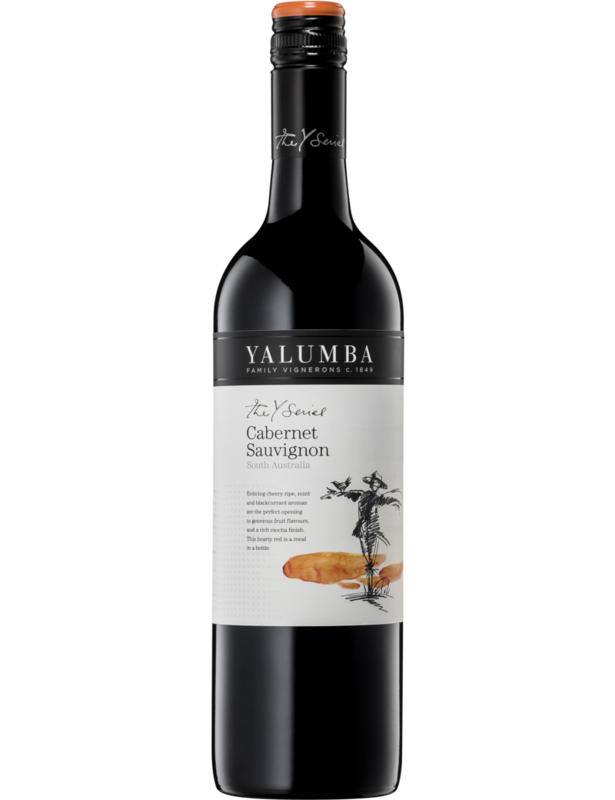 Soft, approachable, medium-bodied goodness; red fruit in abundance, soft and chewy tannins resolving to dryness, spice and depth - Shiraz showing its hand. 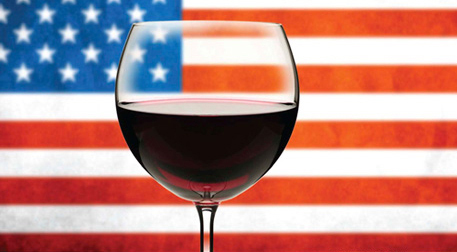 A blend of Cab Sauv (51%), Shiraz (37%) and Merlot (12%) - spends 18 months in oak, 70% French and 30% American. Heady, swirling aromatic mix on show here - smells powerful: deep, dark fruit - a little red jostling for position; it's more damson/mulberry at this stage, oak, a little chocolate, savoury/seasoning. Full bodied, sweet fruit emanating, a little dusting of bitter cocoa, powdery tannin; touch of acid for balance - composed. Black fruit, lighter notes, pastille- like blackcurrant; a little mintiness that segues to the palate. Lighter aromatics: Vine Vale to a tee. Spice is on show - delicate - cinnamon, nutmeg. Smooth, silky, pastille like entry: transitions to an initial savoury hit. Good acidic freshness, semblance of fruit. Spice makes a secondary appearance toward the back palate, fine tannin in support, length. And some. Ten tonne of fruit was left on the vine to ripen, with about 30% to be affected with botrytis. Here's the result. Lemon, apricot, cut marmalade; honeyed citrus. Lemon, lime, fresh and tangy; full on citrus assault. Sweet and unctuous, texturally lavish. Brimming with life and freshness. Dusty, leafy, the dried red earth, dark chocolate and malty, bright oak. Not the strongest aromatically…somewhat shy. Bold flavours: leaf, capsicum, tapenade. Tannin is fine, powdery - kinda cocoa powder bitterness. It’s backed up with generous spiciness - possesses a good deal of fruit too, balanced. Malbec from the Langhorne Creek GI, where Bremerton seem to have a good handle on this somewhat neglected variety. Redeems itself on the palate - a tour de force of black and blue fruits that initially flood the senses, before sensibly holding back and washing across the palate. Nice touch of bouquet garni herb that holds up the back palate and gently eases the wine to a conclusion. Varietal Cabernet Franc from the Orange GI - more please. Cherry compote with a little of the leafy aromatics oft associated with the variety. It’s certainly attractive in its aromatic proposition. Medium bodied, cracked pepper inflected blackcurrant; savoury initially morphing to more black fruit in its profile. 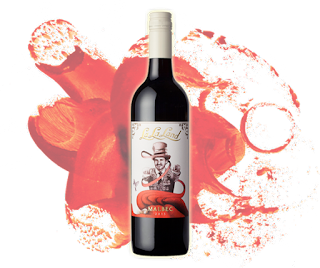 An interesting mix, a wine that veers from fruit-to meat- to savoury and then spiced. Complex, yet also with a languid and easy going appeal. It somehow pulls that off with ease. Citrus, cream, barrel ferment, flaked almond. Worked - creamy, citrus, grapefruit acidity; complex, nicely balanced. Satsuma plum, sweet edged blackcurrant, very approachable. Medium to full, fine and powdery tannin, chocolate, bags of red fruit. Primary, red fruit, a little rhubarb. I've written before of the desire of the Out of Step crew to "hopefully chipping away at making Sauvignon Blanc at least just a tiny bit cool again...", and whilst this 'field blend' doesn't specify the cépage, the Sauv Blanc is evident, to seek to understand what else may be within somewhat defies the ethos of the wine. The Out of Step crew describe it thus: "This is not a wine about variety. This is a wine about a place…..and a winemaking ethos. 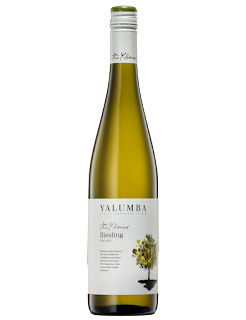 Only 264 bottles were produced from a very special patch of fruit on the Lusatia Park vineyard in the upper Yarra Valley. 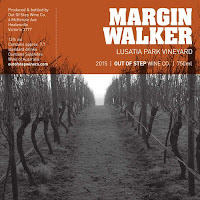 Wine from the fringe…..the Margin Walker." A quality offering, clearly from the aromatics: grapefruit, vanilla, gravel and pebbles. 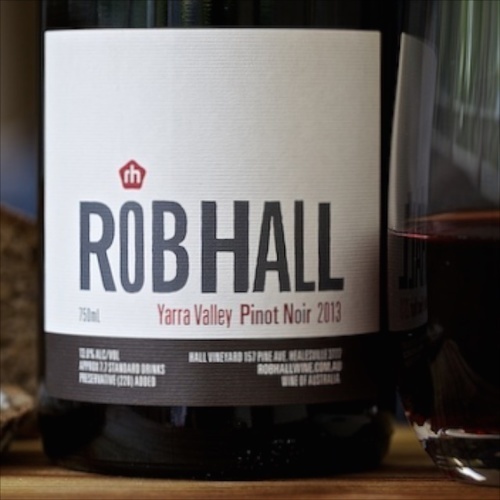 Rob Hall - variously grape-treader, photographer - seeks to capture a moment in either a bottle or an image. For around ten years Rob was the winemaker at Mount Mary, before going solo. 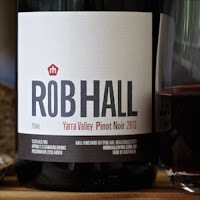 Producing from Yarra stalwarts, here a very approachable and affordable Pinot Noir. Stonefruit ahoy! Perfectly ripe nectarine, freshly cut, supported by an exquisite oak framework: honey, vanilla, a little spice. Citrus edge, light florals; more of the same on the palate. Spicy, sappy - redolent of judicious use of whole bunches in the ferment. It's like a savoury core surrounded by depths of plummy fruit. "The Angullong Crossing Reserve block sits within aged red / brown loamy top-soils, a result of the volcanic origins of Mount Canobolas. This gives way to sandy clay and shale subsoils with a limestone base ensuring good aeration and drainage. The result is relatively low vine vigour and low yields. 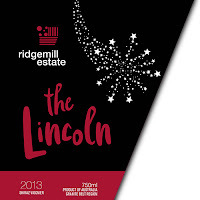 “The new Crossing Reserve is a limited release wine with only two hundred cases produced. Whilst 2013 is the first vintage, we have made small parcels from 2014 and ensuing vintages. "The wine was matured for 12 months in French oak and then 18 months in bottle before release." 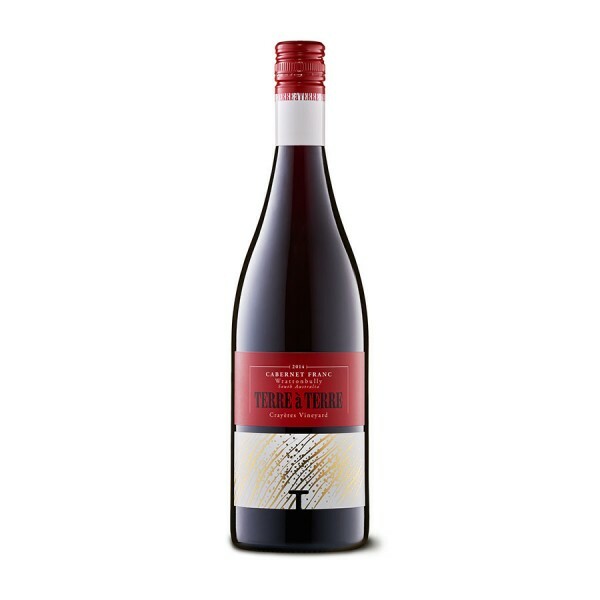 Beautiful red fruit, summery berry pudding, with vanilla accents from quality French oak. Perfect seasoning with a nuttiness and delicate spice. Cedar, seasoning, fruit still prominent aromatically. Medium-full, powdery tannin that resolves to a little black tea bitterness. Semblance of cassis and plum moving to a savoury back palate. 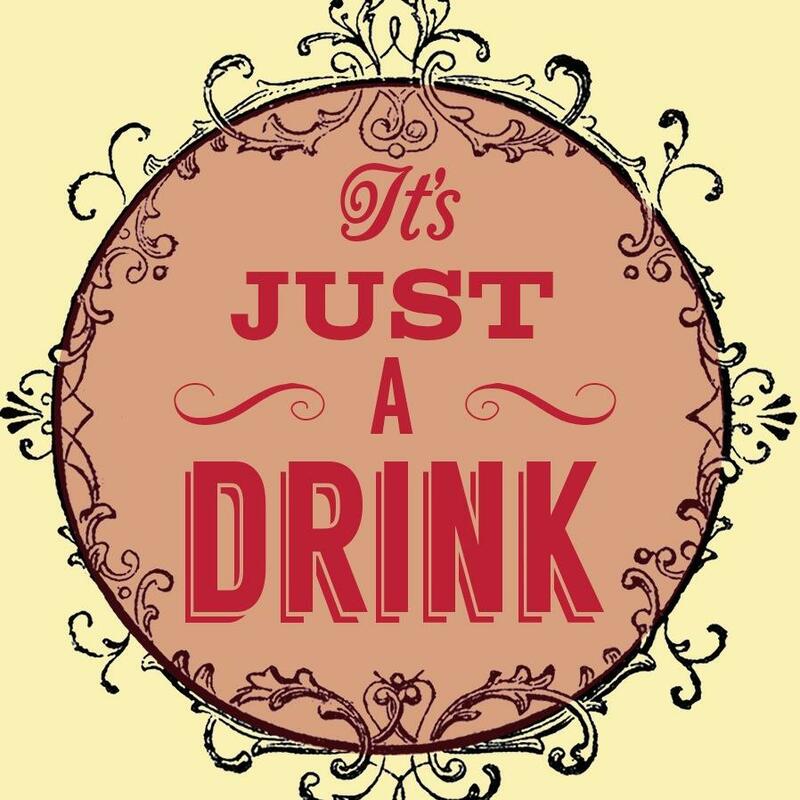 Drinks well - the clincher, and key to value - good persistence. Grilled peach, barrel ferment and a little toasty oak funk. Vanilla panna cotta, segueing to stonefruit afore enlivening citrus acidity. The sum of its parts pulling together beautifully to create a wine of focus and persistence. Blue fruits, florals, dusky dark chocolate/cocoa; a little red fruit, suggestive of macerated raspberry. Calling card of both variety and region here: leaf, mulberry and some Sellick's fudge. Medium bodied, somewhat thin on the palate. Nice grip, but cassis gives way to bitterness that dominates here. Given the price, varietal correctness can be forgiven. Juicy, nigh jubey, good fruit driven aromatics - clearly fulfilling a winemaking brief for accessibility and approachability. 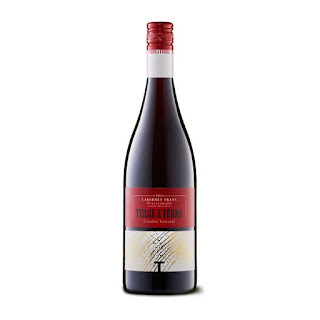 Medium bodied, soft and rounded; segues to a little spice and gummy fruit flavours. A little back end chocolate bitterness - great counterpoint to the fruit, resurgent spice. 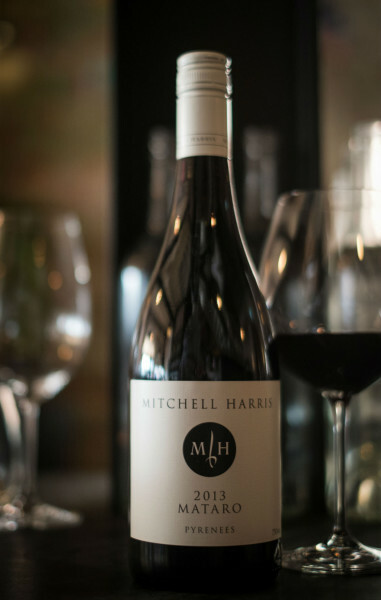 A new grandson for Ridgemill Estate owner Martin Cooper is honoured with a wine named in his honour - tough that the wee tacker has to wait 'til his 18th to taste this little beauty. Plum, mulberry, cherry, a little stonefruit and floral lift; well handled oak in support. Powerful black fruit supported by a frame of oak; there's leaf, chocolate - all up bold and firm, forward. New release from the Terre à Terre crew, a varietal Cab Franc that is the result of 26 day ferment in open top fermenter. Spends 18m in French oak (30% new) and about ten minutes in your glass before proclaim: "gee that's a cracker, pour me another", or words to that effect. No filtration, and a light fining. Blackcurrant with a little savoury seasoning overlaid; leaf and capsicum.